Genghis Khan. Emperor Napoleon Bonaparte. General George S. Patton. 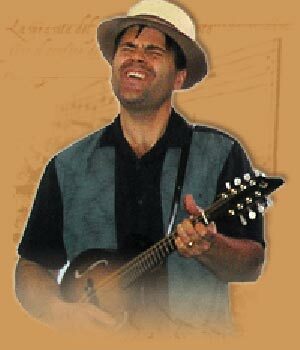 All great leaders, but none of them could twang a guitar near as well as Palmer ‘Jethro’ Jackson. The Man from Montecito supplies the band with its brain, its conscience, its work ethic and its fingerpicks. His expert playing effortlessly ranges from the precise to the profound to the ‘How the hell does he do that?” Palmer brings a clear, high desert tenor to the vocal mix, and an excellent bottle of red to every rehearsal. Palmer’s always willing to listen and ready to laugh—traits sorely put to the test when you’re trying to keep this motley bunch presentable. Drummer Charlie has bouncing feet, dancing hands, and an ancient spirit—all conditions for which he is currently taking medication. He started his percussive career at 9 playing an elementary school tambourine, and since that time some of the finest music instructors in the country have deemed him ‘tardy.’ Charlie’s frisky, no-frills, deceptively deceptive beats keep the songs pointed toward true north, his vocals are the anchovy paste in the harmonic roux, and his original songs are widely acclaimed for being only three verses long. Don’t let Charlie get started talking about Elvis or it’s going to be a long night for everyone. A Bay Area native, Mark Jeffery has been involved with the local music scene around San Francisco for over twenty years. His broad spectrum of influences and his love of Americana and gospel music add a rich and soulful quality to the Homeboys’ sound. The band’s most dangerously multi-instrumental member, Mark switches off easily between mandolin, dobro, accordion, guitar and Venezuelan cuatro. 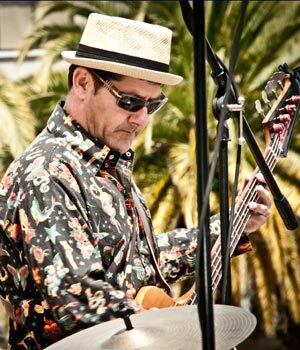 Paul Armstrong picked up the electric bass guitar in junior high school and over the years has worked and performed with many local Bay Area bands including Tiffany, Jiffy Groove, The Big Twang Theory and others. 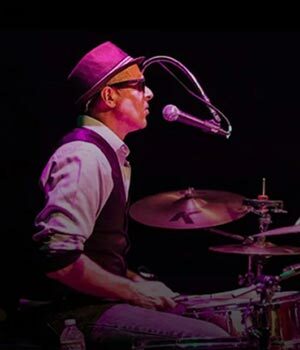 He is one of the founding members of The Mobile Homeboys, and his musical influences are funk, jazz, progressive rock and traditional country. Is a San Francisco-based singer/songwriter who plays banjo, rhythm guitar and contributes occasional lead vocals to the Homeboys sound. 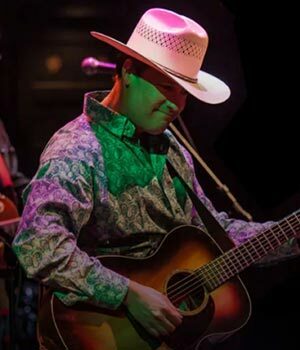 Growing up in Northern California, Tom was strongly affected by his father’s love of bluegrass and old time country music and he started playing ukulele at age eight. An early fascination with Earl Scruggs led him to the five string banjo and he began playing rhythm guitar shortly thereafter. 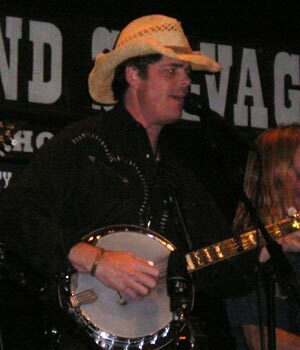 He has been a fixture on the Bay Area Americana music scene for over fifteen years and his solo album of original songs, Amadora County, was voted one of the best independent albums of 2007 by indiemusic.com. 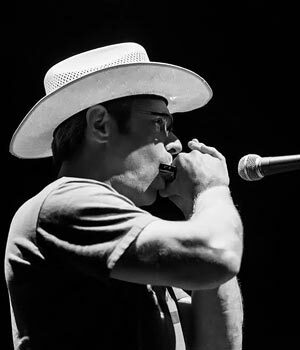 Having also spent a lot of time in Mexico and South America growing up, he also has a strong affection for Mexican folk and Latin music and brings a number of songs from these sources into the ‘Boys eclectic reportoire.